You never know what to expect on a boat test. 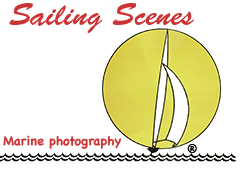 Over the past 20-plus years we’ve done hundreds of them, on everything from inflatable tenders to performance multihulls and offshore racing yachts. We’ve sailed in Split in the summer and Gdansk in the snow in the middle of February. But even when we’re setting off to make the acquaintance of a little trailer-sailer sold by a dealer just along the coast with whom we’ve already tested a good many boats, much remains in the realm of the unknown. We had been trying to test this particular trailer-sailer for over a year, but the dealer was selling them almost faster than he could bring them in so there was never a test boat available. Eventually he had one for a week or two, so we picked a promising day and headed on down. Challenge No.1, we discovered when we arrived, was that the chap sailing the boat with us had to disappear just after mid-day, so we didn’t have long. And then we found that the nice big photo boat that had been lined up was no longer available. We had to settle for a tiny, under-inflated RIB that someone kindly offered at the last minute. You can’t help but be aware of the size and state of boats like this when hopping into them with several thousand pound’s-worth of cameras about your person. In this case, in reasonably flat water and with a thoroughly competent driver, thankfully all was well. And then there was the test boat itself. We had better not divulge too much here – a full review with photos will be appearing in Practical Boat Owner in the next few months – but let’s say it’s one of those instances where we will need to choose our words with particular care. For example, we normally stand on the boom to take photos of the deck and cockpit. In fact we often climb the mast, but it didn’t seem a good idea on this occasion. Just standing on the boom was enough to induce rather more heel than one might expect, so the desire to preserve both self and camera saw us make a rapid return to deck level. That apart, it was an agreeable day. 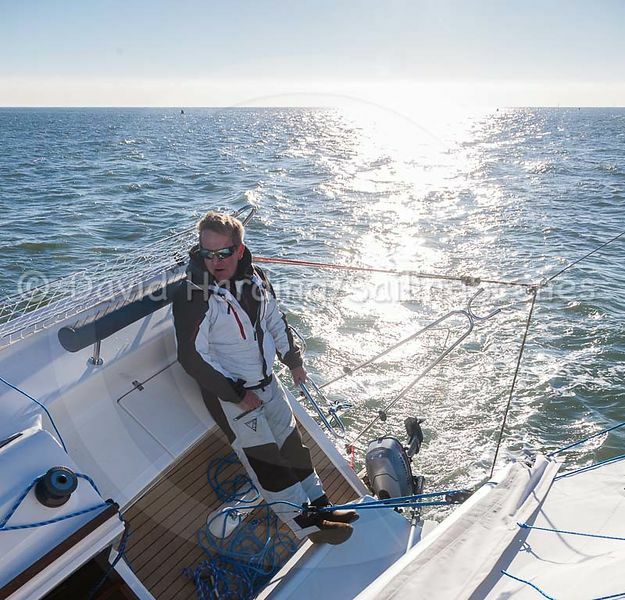 Our co-pilot turned out to be a top keelboat racer with whom we shared a fair few acquaintances, so we found much to discuss as well as the boat itself and that always makes for a more interesting and enjoyable time. Ideally for boat tests we’d have a full day – or preferably two – plus a helicopter at our disposal and a bevy of photogenic sailor-girls to liven up the pictures. In the real world, we just have to make the best of what there is.